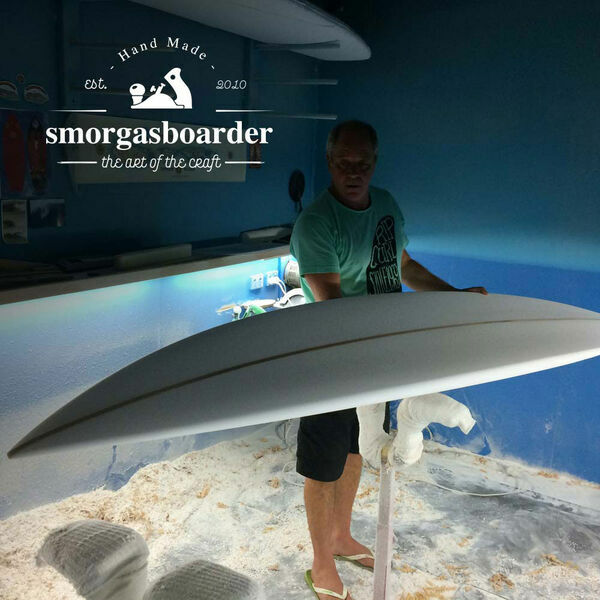 With the soul of a philosopher, the hands of an artist, the knowledge of a walking encyclopaedia, and the brain of an inventor and engineer fused into one, Mitchell Rae of Outer Island Surfboards is a creator of the highest order. While he wouldn’t take credit for it himself, spending time with this well-respected shaper and artist is often like a visit an enlightened spiritual figure (clad in boardies instead of a flowing robe, of course) – you’ll leave feeling like you’ve had some deep, mystical knowledge opened up to you… Whether it be technical discussions on surfboard building and materials, or how to tread lightly on the earth and stay on the right side of karma, Mitchell always excels as a guide to a world of complex concepts. All content © 2019 Smorgasboarder.